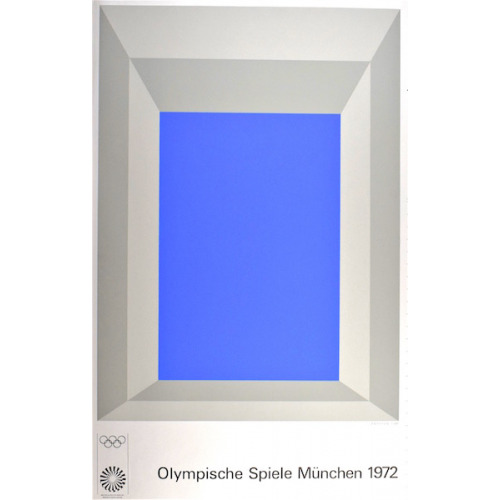 Class 3 Reproduction "Edition Olympia 1972 GmbH" This simple designs allows the viewer to experience space with the perspective drawing you into the blue rectangle positioned in the center of the poster. 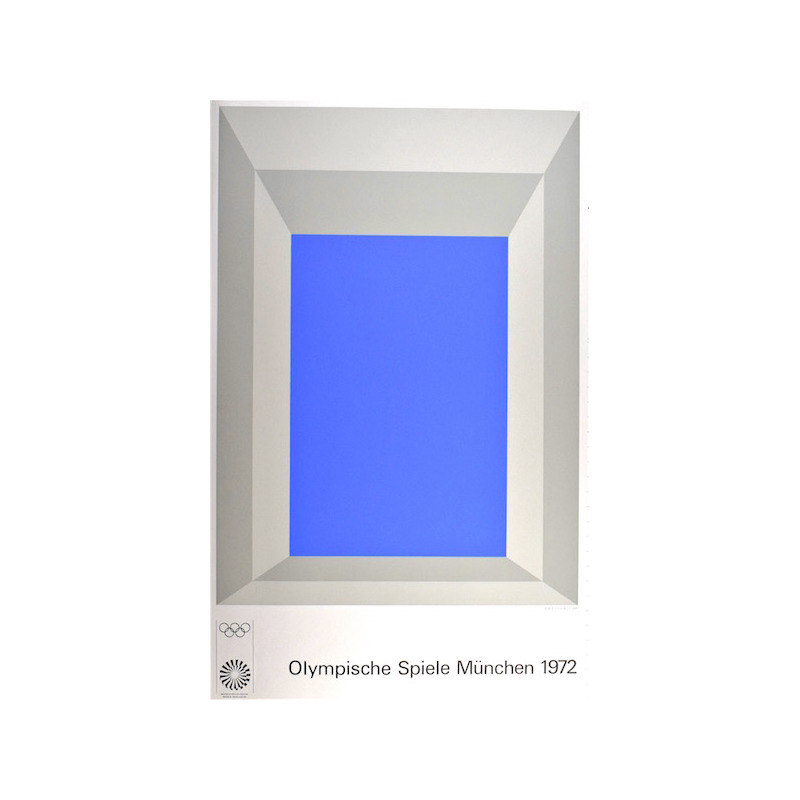 The calming blue draws you in while its white and gray frame displays the sharp color. This print is also hand signed by the artist which adds to the value and rarity. Valencies The art posters were to be reproduced in three different valencies: Original graphics: Hand-printed by the artist from the original plate on high-quality paper, signed and limited to 200 copies per design. Original posters: Hand finished further impressions from the same original plate on slightly lower quality paper; the plate is signed, but not numbered. 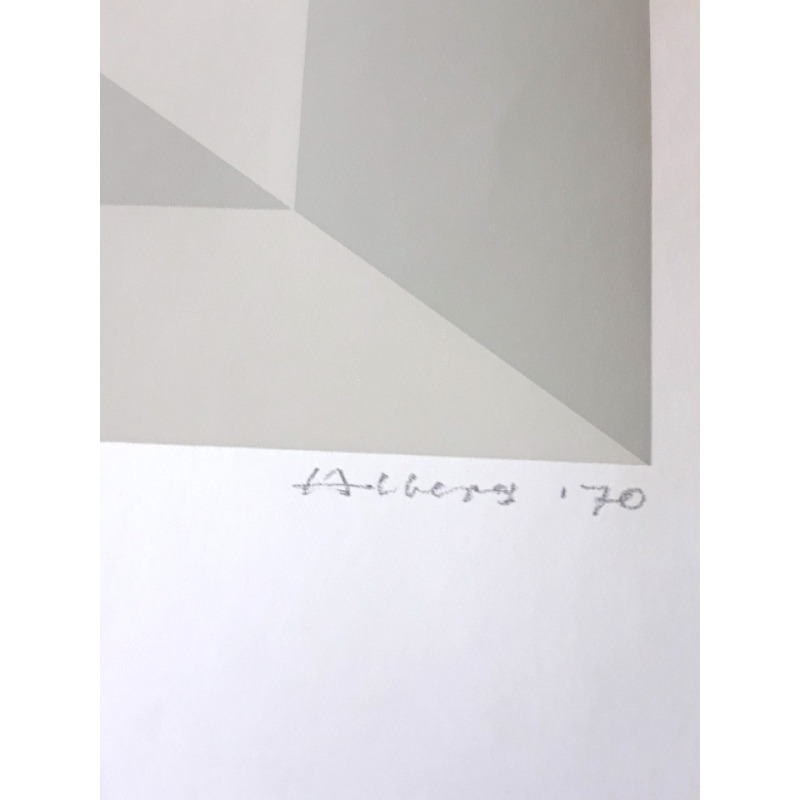 The original poster edition should not exceed 4,000 copies per design. 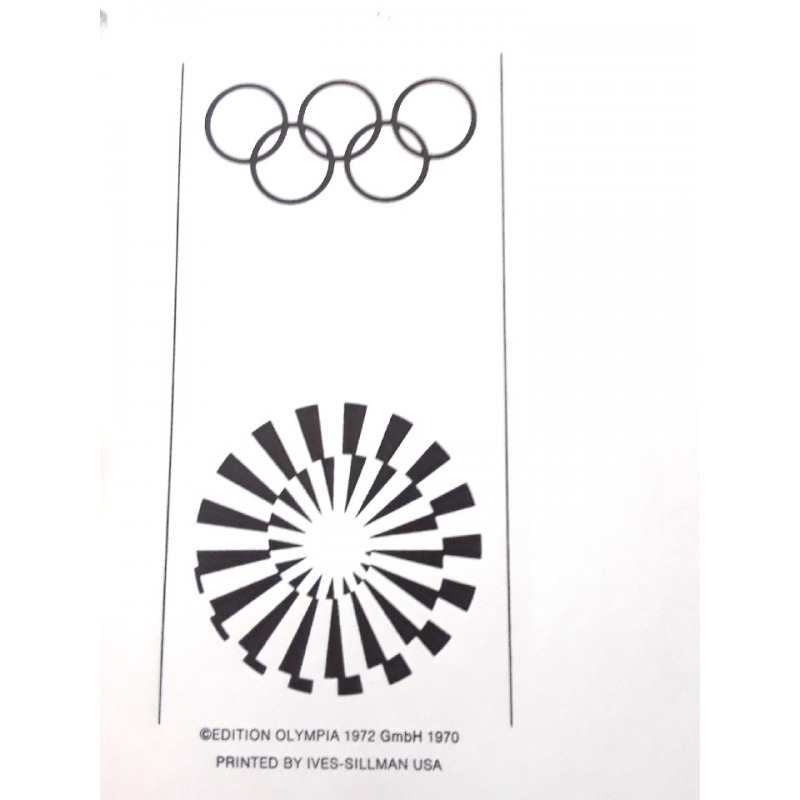 Reproductions of the original graphic: Produced by off-set or photogravure process on poster paper. The number of copies depended upon the requirements of the OC or other organizations.